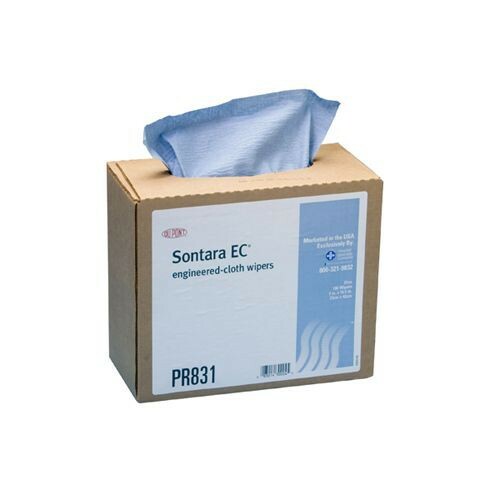 Hospeco Sontara EC Wipes are made of blue creped interfolded material and come in a convenient dispenser box, which allows them to be easily contained and portable. These wipes are 9 x 16.5 inches, highly absorbent, binder free, and are durable with excellent tear strength. These engineered-cloth wipers are great for cleaning up spills and messes in the home or office. They are also excellent to have on hand in any medical facility due to their high absorbency properties, which makes them ideal for soaking up blood or other bodily fluids.